Universal Cable Productions (UCP) today announced an overall development deal with John Carpenter, the celebrated director of horror films including Halloween, The Thing and Escape from New York. Under the new deal, Carpenter will executive produce scripted programming with UCP for the NBCUniversal Cable Entertainment portfolio, as well as for external networks and streaming services, along with his producing partner, Sandy King, under their Storm King Productions banner. The announcement was made today by Dawn Olmstead, Executive Vice President, Development at UCP, who had this to say in a statement. "John Carpenter is an incredible creator whose dark imagination has left an indelible mark in film and in our dreams. We are thrilled to have a master of the horror genre join UCP." 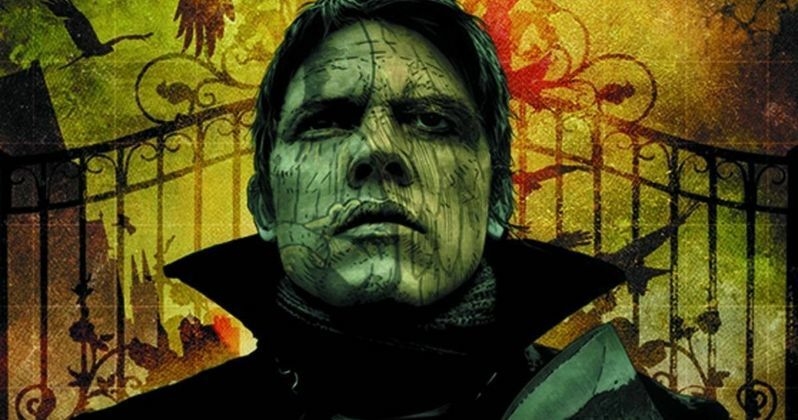 Universal Cable Productions and Carpenter are already in development on "Tales for a Halloween Night" for SYFY. Based on Carpenter's award-winning graphic novel anthology of stories where he brings together storytellers from the worlds of movies, novels, and comics for a collection of horror stories featuring graveyards, sunken ships, creepy crawlers and ghosts that will haunt your dreams long after you've finished reading. A search for a writer is underway. Here's what John Carpenter had to say in a statement. "I'm excited to partner with Universal Cable Productions on this venture into television. On one hand it's a return home to Universal where I have fond memories, and on the other it's a step into the future with great new creative partners in programming." Additionally, UCP and Carpenter are developing Nightside, based on the literary series by New York Times bestselling author Simon R. Green, with Jill Blotevogel (Scream: The TV Series) attached to write the script. Nightside is the secret heart of London beating to its own rhythm, pumping lifeblood through the veins of its streets and alleys, hidden in eternal darkness where creatures of the night congregate and where the sun is afraid to shine. It's the place to go if you're looking to indulge the darker side of your nature-and to hell with the consequences. Tales for a Halloween Night and Nightside are the latest addition to UCP's impressive genre development slate. The award-winning studio is in various stages of production and script development on a range of series including: Happy! for SYFY; The Sinner, Damnation, and Unsolved: The Murders of Tupac and The Notorious B.I.G for USA Network; The Purge for USA Network and SYFY; All That Glitters for Bravo; and Impulse for YouTube Red. A native of Carthage, NY, Carpenter attended Western Kentucky University and the USC School of Cinema, where he began working on Dark Star. His breakthrough film, Halloween, spawned several sequels. He further cemented his reputation as a master of the genre with hits including Escape From New York, The Thing, They Live and Big Trouble in Little China. On the small screen, Carpenter directed the mini-series Elvis, and Showtime's horror trilogy John Carpenter Presents Body Bags as well as two episodes of STARZ Masters of Horror. On Halloween 2014, Carpenter introduced the world to the next phase of his career with "Vortex," the first single from Lost Themes, his first album of non-soundtrack material which achieved numerous international milestones and affirmed Carpenter's lasting influence on genre score work. Lost Themes II was released with much fanfare, April of 2016, kicking off a twenty-nine city international tour around the world. Sandy King has produced major theatrical hits including They Live and John Carpenter's Vampires. For television she produced John Carpenter's Body Bags. She continues to expand her comic book universe by both creating and writing the award-winning Asylum series. King also created, edited and writes stories for Tales for a Halloween Night along with Carpenter. Carpenter and King are represented by APA and Stankevich Law, Inc. Jill Blotevogel is represented by APA and McKuin Frankel Whitehead LLP. Simon Green is represented by APA and JABberwocky Literary Agency.